Dozens of people detained by federal immigration officials are refusing meals in a Boston jail. Rhode Island-based community groups Alliance to Mobilize Our Resistance and the Fighting Against Natural Gas (FANG) Collective say they've been in contact with about 70 detainees at the Suffolk County House of Correction who are participating in a "hunger strike" that began Friday. The organizations say the detainees are protesting abuse by jail officials and "inhumane conditions" such as bad food and broken bathroom fixtures. They also challenge the jail's authority to detain people on behalf of U.S. Immigration and Customs Enforcement. 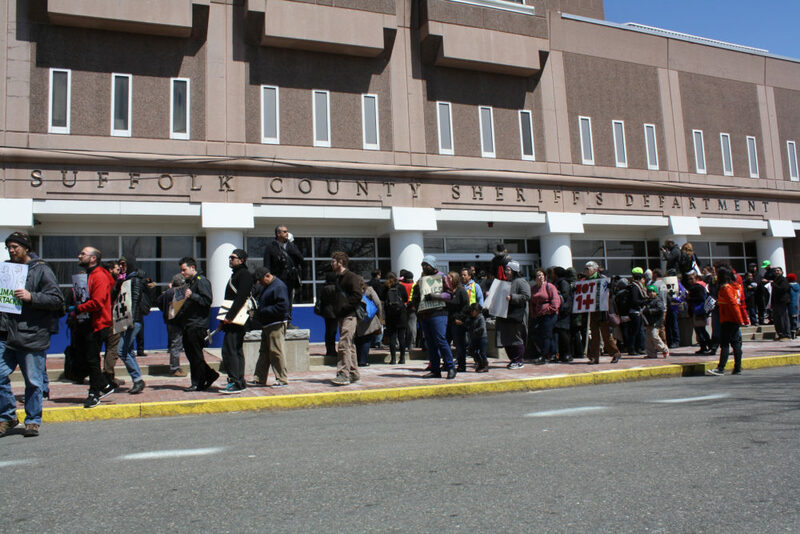 A spokesperson for the Suffolk County Sheriff's Department said "there is no official hunger strike in effect." "Detainees are refusing institutional meals, but have continued to eat their canteen food and drink liquids," the statement said. "We are monitoring the situation with the proper medical supervision and will respond appropriately." The organizations say the detainees sent jail officials a list of their grievances Feb. 10. A spokesperson for ICE didn't immediately respond to an email seeking comment Sunday.